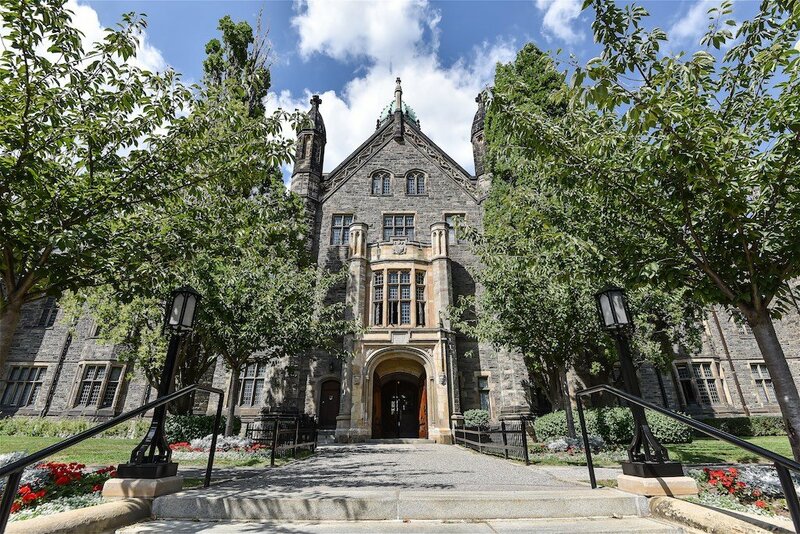 Trinity College was founded in 1851, by Bishop John Strachan and is situated at 6 Hoskin Avenue at the University of Toronto. Trinity was intended to be an institution of strong Anglican alignment, until the University of Toronto severed its relationship with the Church of England. The college eventually joined the University of Toronto (U of T) as a partner in the school’s federation, in 1904. The Chapel was constructed with monies donated by a Gerald Larkin, president of the Salada Tea Company from 1922 to 1957. 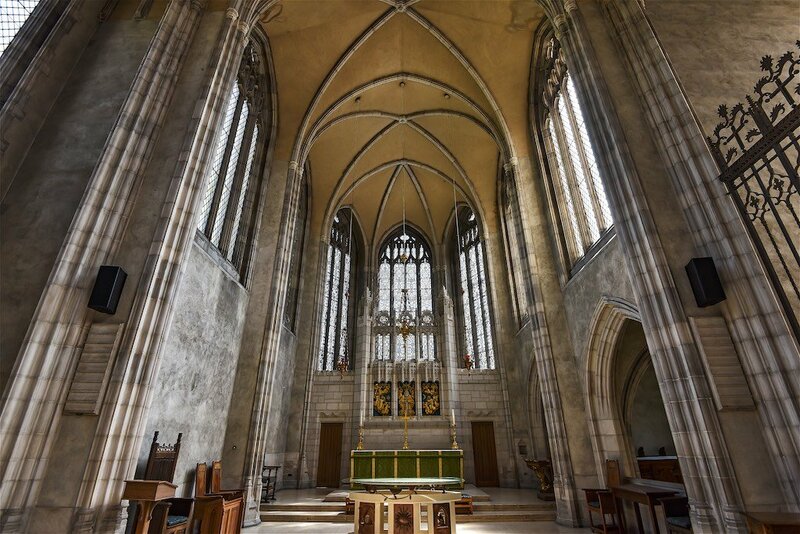 It was designed in a Gothic style by prominent English architect Giles Gilbert Scott. 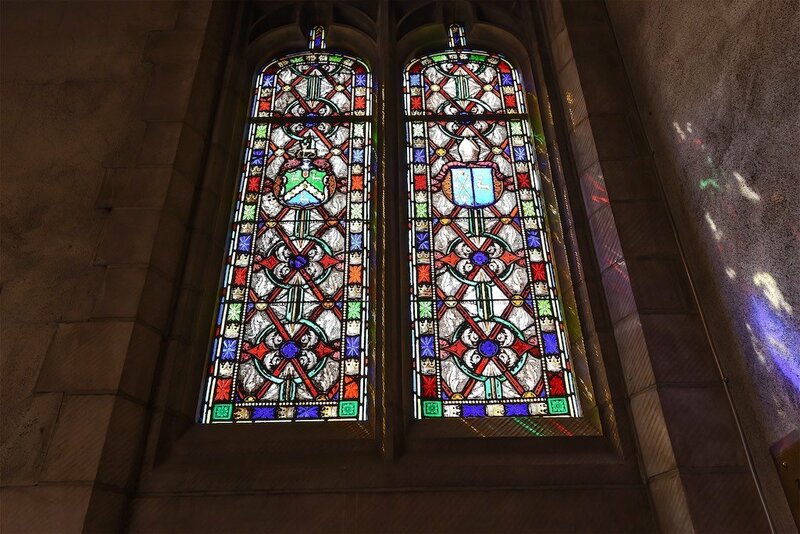 A number of stained glass windows adorn the building throughout flooding the chapel with natural light. The chapel is 100 feet long and is 47 feet (14 m) high. Italian stonemasons were employed to build the chapel and used ancient architectural methods. The structure contains very little steel and has a slate roof and walls of sandstone. 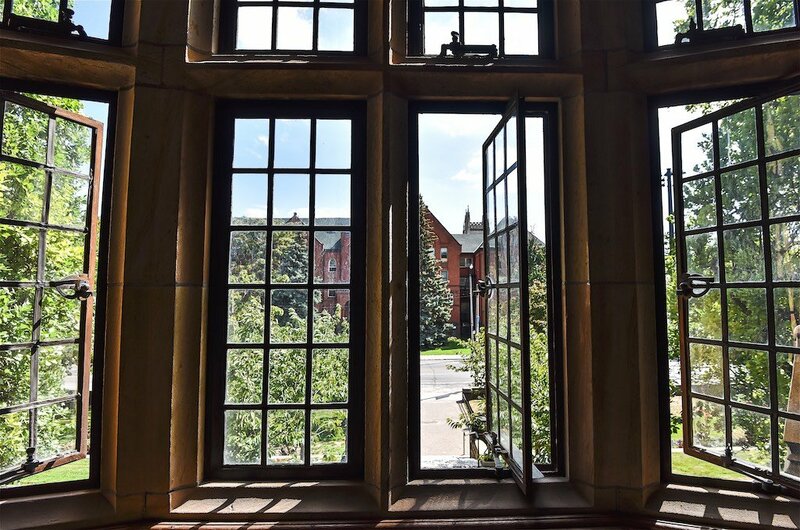 The College eventually expanded its curriculum beyond arts and divinity, and by the end of the 1800’s, it’s teachings included medicine, law, music, pharmaceutical and dentistry (much to the chagrin of Bishop Strachan). Strachan Hall serves as the college’s cafeteria where stale sandwiches and a variety of canned soups are served daily to voraciously hungry students. High sugar sodas compliment the hearty meals giving students that “little extra boost”they need to make it through the gruelling day. 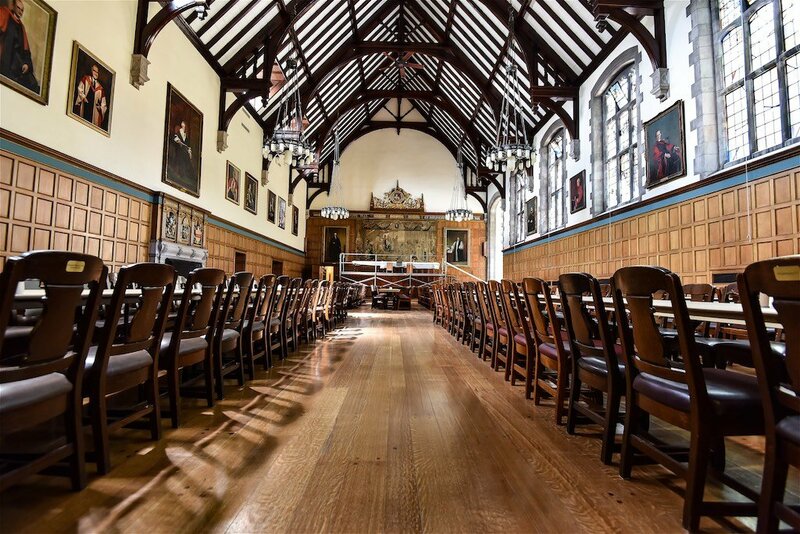 Oak panelled walls adorn the eatery with chandeliers and a cathedral ceiling. 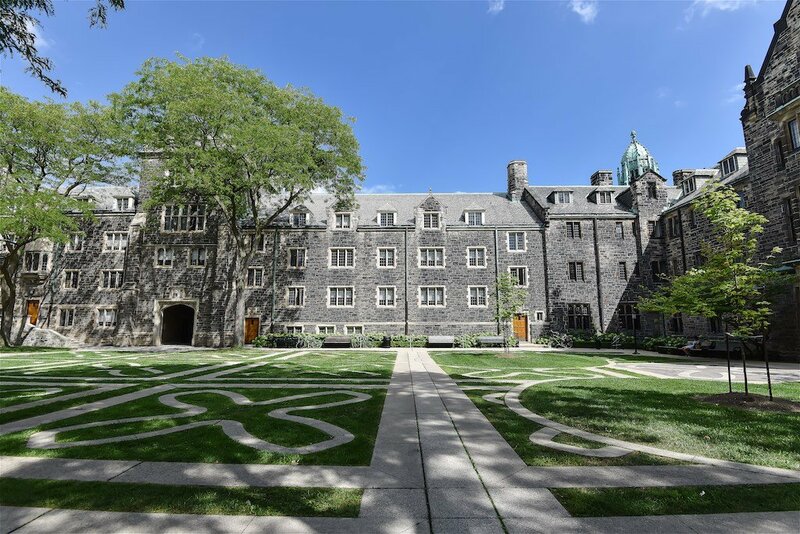 A quadrangle (or courtyard) is situated in the centre of the building, allowing student and faculty to study and mingle. 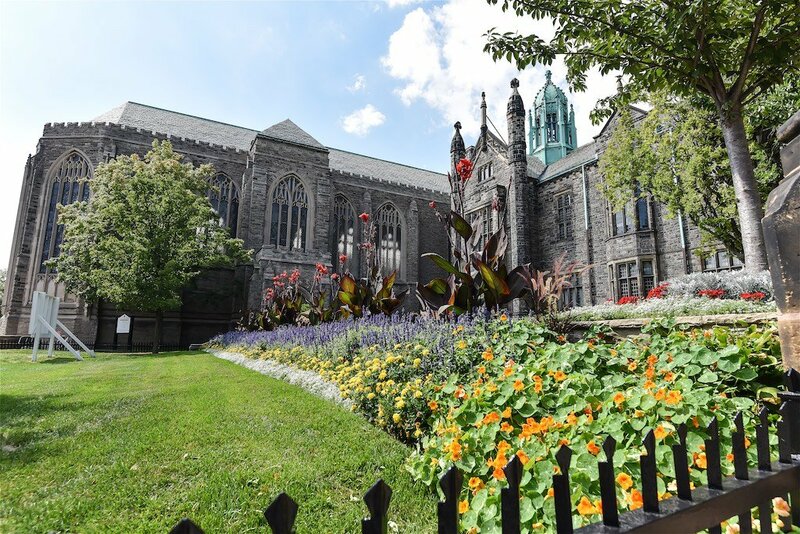 This entry was posted in Anglican, chapel, Church, Trinity College, University, University of Toronto, UofT and tagged Anglican, Chapel, church, Education, Trinity College, University of Toronto, UofT.